Yummy! A crunchy, sweet Valentine’s Day treat that won’t earn your kids a trip to the dentist – what a delicious, simple and healthy afternoon treat these were! Package ‘em up pretty and I think they’ll make a lovely gift for someone special. Apple chips are about a gazillion dollars per bag at my grocery store so this is a super frugal snack to boot! 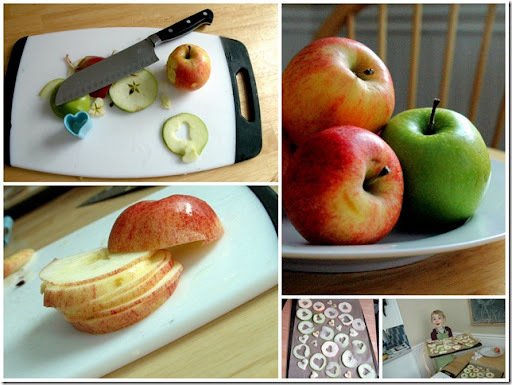 Thinly slice apples (really thin, or you’ll be cooking these for HOURS). This would have been a good time to whip out the food processor but I was lazy. 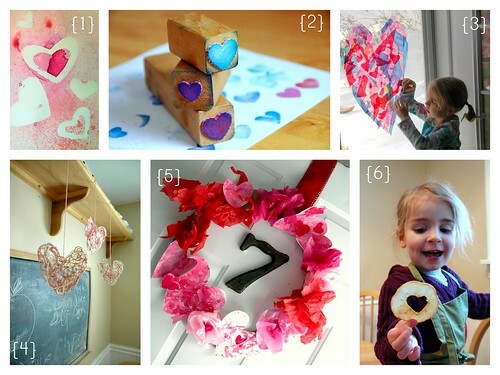 Lay out your slices and put your kid to work with some heart shaped cookie cutters. 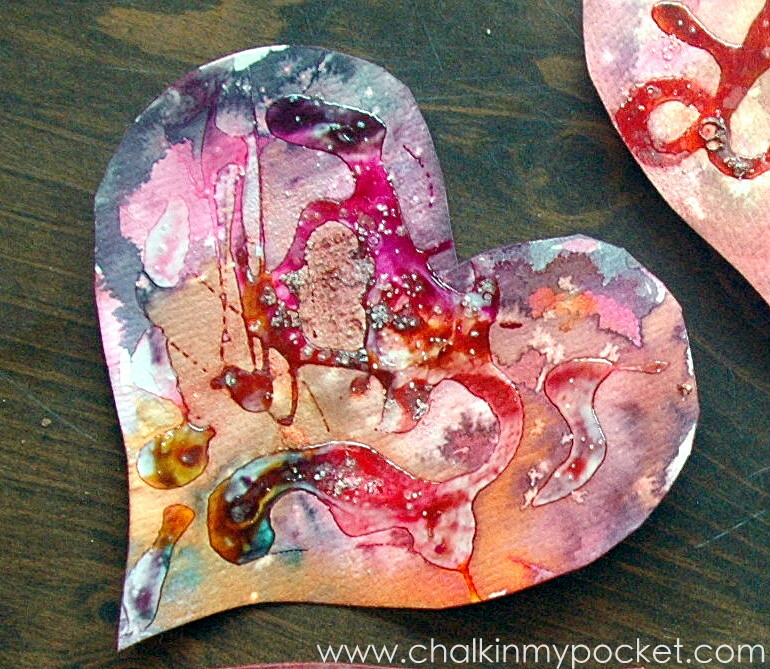 If there isn’t too much “core” or seedy bits, the punched out hearts can be baked too! 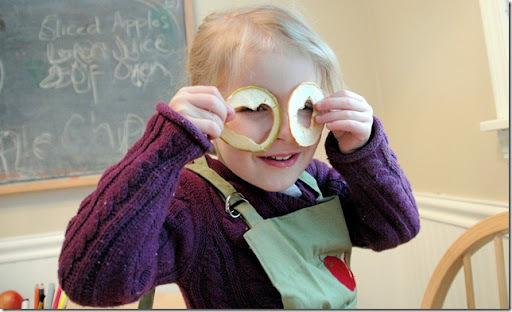 We baked the apple slices on some parchment for an hour and 10 minutes in a 250F oven. Some of the thicker slices took a few minutes longer. Once they are lightly browned, pop ‘em out of the oven and let cool. They’ll crisp up in no time and are totally delish. Be sure to let me know if you do Kerri! My sister is whipping them up this weekend too – I hope they're as delicious for you as they were for us! I'm looking forward to trying this. We love apples here! Looks delicious–thanks for leaving me the link! Lenetta – that sounds like a little bit of heaven indeed! Yum! Aren't those books so inspiring? I read them ages ago before Claire was born but I love that they still rotate through my LibraryThing widget hopefully grabbing the eye of a few other moms-to-be! Wow, glad I didn't use cinnamon sugar — these things are like concentrated sugar already! LOL I like the crispy ones best (super thin). We used a stoneware pan instead of parchment and an “F” cookie cutter (for our last name) instead of a heart. @KatrinkaJane — I love the love love the initial idea! If you send me a photo I'll post it for sure! And yes, they ARE super sweet, especially the granny smith ones. What kind of apples did you use? Mmmm…my grandma has a food dryer and always made us apple chips but this is the first time I've seen hearts! Oh yummy! Going to have to make these with my son for sure! yum! I am bookmarking this one! Love this! We'll be trying these this weekend! i'm your newest blog follower! i've already found lots of projects i want to try! Love your blog! Super idea! 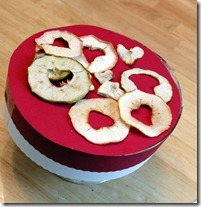 I think it's timme to drag out the dehydrator and grab some apples. Thanks for sharing with the Decidedly Healthy or Horridly Decadent hop. New follower here! 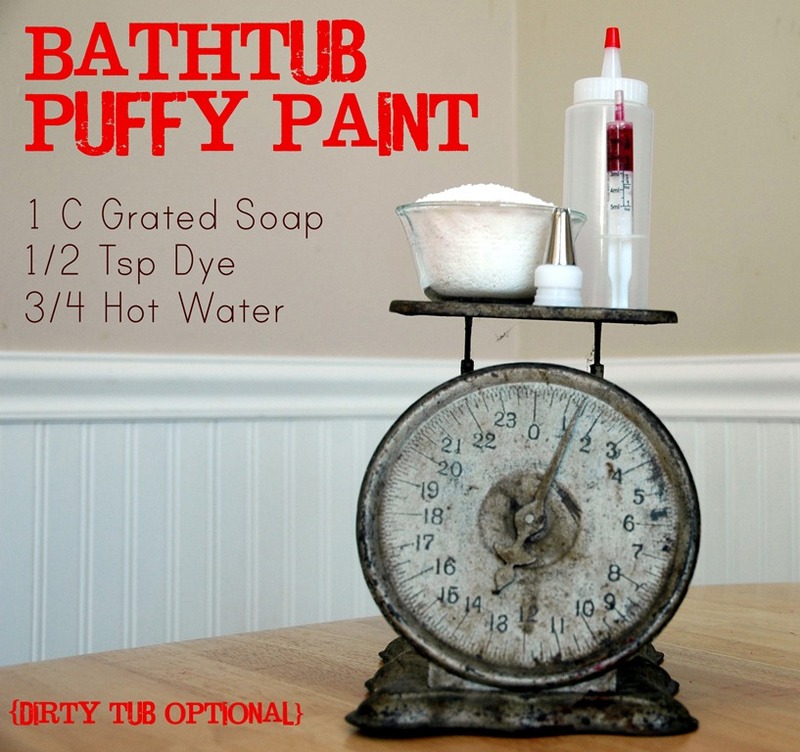 I will definitely be trying these out with my little one this week I hope. Love the spray paint valentines too. Thanks for sharing your great ideas. I just tried these and they are so delicious! Thanks for the idea!